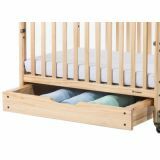 Commercial cribs receive the most wear and tear while in storage. 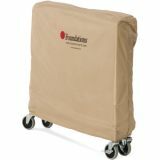 Extend your crib's life and protect it from dirt, dust, bumps and bruises with our heavy duty, nylon crib cover. 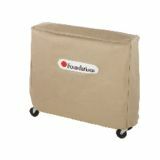 Easy fold design sets up and folds in seconds, and is very compact in folded position for easy storage. 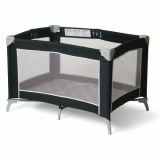 Features mesh on all four sides for 360° visibility of child. 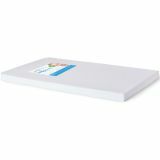 Surface is 25" x 37" and is recommended for use with children up to 35" tall. Durable tote bag included. Meets or exceeds all CPSC, ASTM, safety standards. Limited one year warranty. 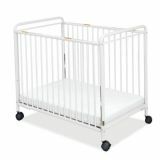 41 1⁄2"L x 28 1⁄3"W x 27"H.
Integral handles on corner posts enable caregiver to maneuver crib more easily in the event of a power outage or disaster. 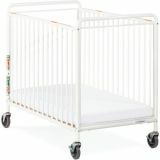 Clear panels on both ends allow full view of infant. 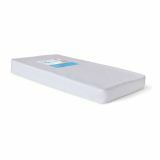 Crib includes a 3" thick, InfaPure™ ultradurable, antimicrobial mattress with 24" x 38" sleeping surface. Quiet, non-marking, 4" commercial casters will not damage floors. Limited 5-year warranty. 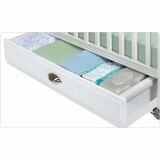 Add-on a EZ Store™ crib drawer with MaganSafe™ Latching System. 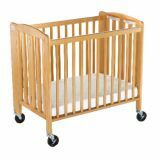 Fits Serenity & Biltmore Compact Cribs. 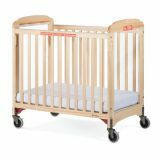 The HideAway™ blends convenience, durability and great design while offering a more home-like feel than traditional folding cribs. Additional shipping charges apply. Innovative hinge design prevents clothing from catching. 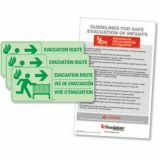 The First Responder® evacuation cribs are the only comprehensive solution available to child care centers for infant evacuation.